Our makeup classes are designed for those who wish to acquire the knowledge, skill, technique and training to work as a professional makeup artist for Weddings, Print, TV, Film, Commercial and Web series. Upon completion, you will be able to enter this exciting industry with the creative skills, knowledge and confidence necessary to succeed! Included we go over how much to charge, how to get started, how to build your resume and portfolio! All of our class participants receive certification upon completion. Take the first step toward making your dream beauty career a reality. Learn the industry from experts and get tips and tricks that will give your career a boost. Media Makeup Classes Next class starts April 2 thru April 30. Enroll or have your deposit in by March 15, 2019 to receive 25% off, includes makeup kit and brush set. Don't delay get started and certified before the end of 2019. A master makeup class will give you the confidence and training needed to succeed in becoming a professional makeup artist. This class is designed for all skill levels, no experience needed. We are an institution that specializes in teaching make-up techniques and insider secrets of beauty and special effects for film, television, high definition video, media, print, high fashion, bridal and stage. Our comprehensive, hands-on courses are offered through three, distinct, all-inclusive programs of study: BEAUTY MAKEUP, SPECIAL EFFECTS MAKEUP (fundamentals and advanced) and AIR BRUSH MAKE-UP; taught by qualified instructors, presently working in the field. Here, you learn by doing. We prepare each student with the proper foundation to achieve the confidence and develop the skills they will need to work in the vast commercial, fashion, television, motion picture, theatrical and entertainment industries. In fact, one major section of instruction – Portfolio Work -- is devoted to the demanding working requirements of actual photo and film shoots. We supply the know-how, the guidance and the technical support — you supply the drive. Together, the value of our collective expertise is as great as your enthusiasm and willingness to learn it. Our instructors are seasoned -- possessing the professional knowledge that can only be gained through time and experience. at Devezin Beauty, it is our goal to pass that knowledge along to you and get you working as soon as possible. Make-Up schools are only the beginning. And Devezin Beauty strives to create the best beginning as possible. We will give you the right foundation to bring out your inner talent and use it as a tool to create your awesome future as a working makeup artist. Want to learn more about the business of beauty? Devezin Beauty offers innovative courses which focuses on developing you for a career within the global beauty industry. You’ll learn a diverse range of skills, including multi-platform journalism, styling, marketing, PR, advertising and trend forecasting, with an opportunity to specialize as you progress. 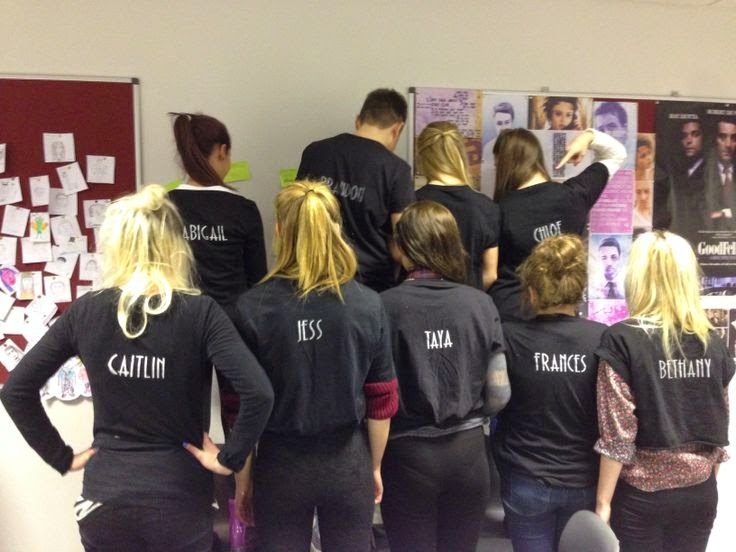 Think a career as a beauty editor, PR, marketing executive, brand manager or trend forecaster might be for you? With close industry links and regular opportunities to create a professional network, gain hands-on experience and build a professional resume, Devezin Beauty courses can help you to take your first step into this exciting industry. So, why choose Devezin Beauty Make-Up School? We are a small boutique learning facility, located right in the heart of the San Fernando Valley. We are a school – with some uniquely new ideas and a fresh, new approach. We offer one-on-one training, in a nurturing environment. Our intensive 'crash courses' – from 3 to 5 students per class/offered days, evenings and weekends* – are taught by professional Make-Up Artists. CONDENSED COURSES FOR SERIOUS STUDENTS: everything you need w/o any filler. Just add desire, determination and drive. Our students are given the opportunity to be involved in 'real' photo shoots during their courses. Our students are provided with a Certificate of Completion and assisted with acquiring professional, digital portfolios of their own work by the completion of each course. Digital portfolio of your best work. Our course prices are hard to beat. Actual work experience will be offered. Career development and guidance from industry professionals! (guest speakers, from tv and film industry) Devezin Beauty prepares its students for professional careers! We teach the basic and advanced techniques necessary to succeed in anywhere in the world. Its up to you to perfect your make-up skills. And the real perfection is in working... practicing your art. Because the truth is, Make-Up Artistry is a very competitive career choice. Not everyone will succeed, let alone survive. But there is always room for those who want the path and strive to get there. Devezin Beauty exists to prepare you for that creative journey. So many training's to choose from, and how do I decide? We understand!!! The bottom line is you need the whole package! Don't be sold on how wonderful someone's products are, be sold on the results of those products. How are you really going to know how great the training is? Ask our students! We provide references and some of our students have traveled from quite the distance to take our training, such as Oregon, Utah, San Francisco, etc. Talk to the instructor, get to know them, do you feel comfortable? With our Program, you receive makeup EDUCATION! Our instructors are certified and licensed in Esthetics/Cosmetology. The skills you are about to learn are crucial to your success, so the decision is an important one. This is thorough and detailed training. Our training is unique, and allows you to master the art within weeks. You will need to practice so round up those models. You will have hands-on practice the last 3-4 hours. WE strive to prepare you well!